The reason the Miles Franklin Blog spends so much time discussing the (horrifying) state of the global economy and financial markets is decidedly not for “fun.” However, I have to admit, I have a rare gene that triggers “pleasure” when disseminating such information – particularly as I know so few others are doing so. However, as was the case when writing “call notes” and research reports at Southcoast Capital and Salomon Smith Barney from 1998-2005, ultimately our goal is to catalyze action. Sometimes, our commentary is very broad, discussing “long shelf-life” themes – like the inevitable destruction of fiat currency regimes, and timeless value of Precious Metals. However, sometimes time is of the essence. And given our belief that not only has the “Big One” commenced; but that silver shortages – potentially, similar to 2008 – may be imminent, we are trying to incorporate an urgency we typically eschew. That said, one must realize we are decidedly NOT investment advisors; and NOT suggesting readers “trade” the sector, particularly “paper PM investments” like mining shares, futures, options, ETFs, and closed-end funds. To the contrary, we are focused on helping to protect your long-term interests, as the aforementioned “timeless” themes unfold. And in the case of physical silver, the “investment case” has become so compelling, it is difficult to avoid a bit of opportunism – as I have personally attempted this past month. Watching silver miners careen toward bankruptcy, I can only imagine how much primary silver production will be lost to the last four years of violent, suicidal Cartel price suppression. However, now that base metal prices are in freefall as well – as I emphatically predicted in one of my most important pieces ever – the likelihood that mines responsible for the production of roughly half of all silver will be mothballed has become a very real possibility, as suggested in last year’s “Miles Franklin Silver All-Star Webinar Panel.” No matter where one looks – from major Mints; to Eastern import data; trading exchanges; and ETFs – it couldn’t be clearer that physical silver demand is at an all-time high; and, equally ominously, the amount of available-for-sale inventory at an all-time low. Silver already experienced major physical shortages in 2008 and 2013 due to (Cartel-orchestrated) paper price plunges, as well as an equally powerful shortage in 2011 when prices surged (before the Cartel was forced to “intervene” with its heinous, May 1st, 2011 “Sunday Night Paper Silver Massacre”). There were also minor shortages in 2012 and 2014; and when last month, the U.S. Mint was forced to suspend Silver Eagle sales for two weeks, the “jury was out” regarding whether this would be a “garden variety” short-term shortage – or a longer-term, more debilitating type, a la 2008 or 2011. To that end, the U.S. Mint has now been “on line” selling Silver Eagles for three weeks; and based on everything I see, it appears this is not just your garden variety shortage situation. For one, Silver Eagle sales have continued to soar – not only at a record pace, but roughly the same pace that caused sales to be suspended a month ago. Premiums and delivery times have expanded – and now the “shortage cancer” has spread to the Royal Canadian Mint as well. Most silver Maple Leaf products are running at 4-6 week delivery delays; and just yesterday, our main supplier said he was close to joining several competitors in suspending all silver Maple Leaf sales. To wit, when I spoke to Miles Franklin’s President, Andy Schectman a week ago, he claimed “silver supply is a 1.5 or 2.0 out of ten”; and when I followed up with him last night, he said the situation was no better. In fact, he claimed, we are now “on the razor’s edge” – where perhaps we’ll return to the “safe zone” of plentiful supply; or, equally possible, lapse to a severe, perhaps 2008-like shortage situation. The pink elephant in the room, of course, is the entire global economy is collapsing; with, as I emphatically discussed in yesterday’s MUST READ article, the average currency down more than 50% in the past four years, and many dramatically more so. In other words, global fear is – rightfully so – dramatically accelerating. And not just that one will lose their job, family, or vocation – but the potential loss of the purchasing power of the fiat currencies their Central banks are destroying (which is the subject of today’s article, which I’ll get to that in a moment). Which is exactly why, when I penned “must own junk silver” 3½ years ago, I predicted it could potentially become the world’s most desired silver product. And not just because of its unique numismatic value – in that, despite being good legal tender, it hasn’t been issued for 50 years; but because it would likely serve as the world’s best bartering tool in the case of hyperinflation, as is going on in Venezuela right now. This is why I call junk silver the “ultimate fear asset”; and per bullion industry veteran Steve Quayle’s comment below, which Miles Franklin whole-heartedly agrees with – we may well have reached the point that junk silver, for all intents and purposes, becomes nearly impossible to acquire. “What we are seeing is what I call ‘the 90% factor.’ Historically, when gold and silver are set for an explosive move, 90% bags (junk silver) become virtually unavailable. When the biggest suppliers in the industry are saying ‘we can’t even get 90% bags, and probably won’t be able to fulfill any order for at least 8 – 12 weeks,’ you know we have serious supply problems (MY COMMENT – HOW CAN THEY KNOW THEY’LL HAVE SUPPLY IN EVEN 8-12 WEEKS? IT’S NOT LIKE JUNK SILVER IS MINTED – SO THEY ARE JUST ‘HOPING AND PRAYING’ SOMEONE SELLS IT TO THEM). So 90% bags are virtually unavailable at these prices, and even primary dealers in them can’t even acquire them. Those who have purchased the 90% bags simply will not sell them” (MY COMMENT – WHICH BEGS THE ABOVE QUESTION, OF WHY DEALERS THINK THEY’LL HAVE SUPPLY IN EVEN 8-12 WEEKS, PARTICULARLY WHEN THE GLOBAL FINANCIAL CRISIS WILL LIKELY BE FAR WORSE BY THEN). On a personal basis, I have documented all my recent silver trades in this blog – from purchasing some of the last available Royal Canadian Mint Red-Tailed Hawks, to some of the last remaining Perth Mint Funnel Web Spiders. Both of these limited edition coins are trading at roughly the same price as generic Silver Maples; and thus, as I wrote in last week’s “one of the potentially last great silver investment opportunities,” Miles Franklin is very positive on this particular type of numismatic product. 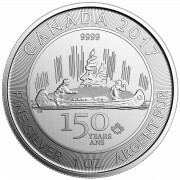 To wit, each of the RCM’s six silver “Wildlife Series” coins – issued between 2011 and 2013 – now trades at a significant premium to generic Maples; whilst the three silver “Birds of Prey” coins – issued between 2014 and 2015 – trade at premiums as well, including the aforementioned Red-Tailed Hawk, which just sold out. In the aforementioned article, the “potentially great silver opportunity” I was referring to was the fourth and final “Bird of Prey” coin – the Great Horned Owl – which was just released last week (I bought some yesterday), and is already experiencing significant delivery delays. That said, it is still available – again, at a very modest premium to generic Maples; as is the Perth Mint Funnel Web spider – which also sold out last week, but Miles Franklin still has a limited inventory of. Generally speaking, I have never seen a better supply/demand situation than today, for physical silver – which is why I have personally “traded” some of my (Brink’s Canada stored) physical gold for these rare, in my view highly undervalued silver coins. Heck, the Cartel is literally immolating itself; as, in blatantly attacking paper PM prices (as they did yesterday), they are causing permanent backwardation in markets this should NEVER occur in. Literally, screaming to the world of the growing disparity between paper and physical prices. 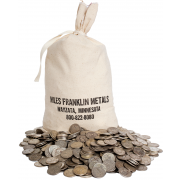 To that end, if you have any questions about such coins – or potentially tax-advantaged gold and silver trades – we simply ask you to call Miles Franklin at 800-822-8080, for a free consultation with one of our brokers; who on average, have 22 years of Precious Metal industry experience. Back to the “news,” I’m not going to rehash what I passionately spoke of in great detail yesterday; such as China’s stock crash, which was “miraculously” prevented from accelerating last night by PBOC’s “national team” – which pushed it back to unchanged after an early morning 5% plunge, on fears that the so-called “shadow banking system” underlying the collapsing stock market might collapse. Or the German Bundestag’s “approval” of the latest Greek “bailout” – whilst the National Bank of Greece’s stock hits an all-time low, presaging the nation’s inevitable political and financial collapse, and “guaranteed” Grexit. Or commodity prices remaining below the 2008 crisis lows – and barely above 40-year lows – with the $500 billion of high yield bonds underlying the imploding U.S. shale oil industry in freefall. Or the accelerating collapse of nearly all currencies – particularly “commodity currencies”; BRICS; and the “Fragile Five.” Or the Vietnamese Central bank devaluating the Dong last night – accelerating the “final currency war” China took nuclear last week – in light of the utter collapse of global trade, per the below, damning chart. Or the fact that – ROFLMAO – the concept of additional Yuan devaluations has already gone mainstream, with even head powers-that-be cheerleader Goldman Sachs predicting as much. No, today I have far bigger fish to fry – ironically, on “Fed Minutes Day,” when the minutes of the July 29th FOMC meeting are published; doctored, as always, to account for subsequent market events (in this case, the Yuan devaluation and global commodity crash). Which is, the utterly astounding conclusions of a “white paper” published this week by St. Louis Federal Reserve Vice President Stephen Williamson – which frankly, I’m shocked was allowed to go public. In it, he doesn’t just attack QE with damning, empirical evidence of its failure; but in great detail, emphatically takes apart its key tenets, one by one. No quote depicts his conclusions – and validates all the Miles Franklin Blog has claimed for years – better than this one; although trust me, many are equally direct and accusatory. To wit, he directly states that the zero interest rates put in place in 2008 to spark “good inflation” have resulted in just the opposite. Moreover, he believes the “forward guidance” the Fed has used to communicate its intentions has instead been a muddle of broken vows that has served only to confuse investors. Finally, he asserts that QE, or the monthly debt purchases that swelled the central bank’s balance sheet past the $4.5 trillion mark, have at best a tenuous link to actual economic improvements. Laughably, he meekly defends such policies by stating they were implemented (successfully, he intimates) to “assure the Fed’s Great Depression errors were not repeated.” That said, given his conclusion that QE is a failure, why is it considered “common knowledge” – at least, among Keynesian Central bankers – that printing more money would have prevented the Depression? 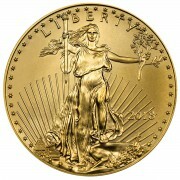 Particularly as there was a gold standard at the time – which by definition limited the Fed’s ability to print money! In other words, the “chinks” in the Central banking armor are rapidly becoming gaping holes, with even the Fed itself attacking its key tenets. Which is exactly why I wrote last week of the rapidly approaching “end of belief that Central banks can save us.” Or, more appropriately, the beginning of the belief that Central banks are destroying us. If Stephen Williamson is claiming the Fed should “end QE (LOL),” it’s a prototypical case of “too little, too late”; as care of the Fed’s $4.5 trillion balance sheet of high duration toxic mortgage and Treasury bonds – not to mention, a collapsing global economy and unprecedented U.S. debt burden; anything less than “QE to Infinity” will result in an instantaneous collapse of all things financial, economic, and political. And not just here in the United States of Fraud, but everywhere. Which, of course, is set in stone already; and the more they QE – and likely, NIRP – the more colossal the inevitable collapse, and Precious Metals explosion – will be. Brilliant, collosal all true. But guess what. The fed will ignore Williamson and triple QE very soon. Andy, I’m backing up the truck here on the RCM owls. I’ve been stacking the wildlife series every chance I get. I’m a big fan of the limited mintage semi-numi plays & agree with you 100%. Also waiting for Perth mints lunar year of the monkey to be released next month (if things hold up). Also, I live in the socialist Republic of Kalifornia & was initially thinking of expatriating all together but it’s such an involved decision. What are your over all thoughts of Colorado? I may be able to transfer to the state through my current employer. How do you think it will hold up in comparison to other states when shtf? Thanks for all your great work! I’ve been here in Colorado for eight years – having moved from NY – and I’ll never leave! Great lifestyle, cost of living, weather, people, etc. Can’t be worse than Callie or NY, even in the worst case scenario. And as for the Owls, I hope you will be buying them through Miles Franklin! I’d get out of California ASAP. My view is eventually the drought is going to get so bad that people will be forced to leave – http://www.sott.net/article/294783-California-drought-Where-will-all-the-people-go-when-the-mass-migration-starts. The last wet 100 years on the west coast has been an anomaly. If you own a home, then sell and move is my advice. The west coast and especially the SW seems like it is going to turn into a death trap. having you calling the play by play action. And your predictions.. As the Chinese say ” May you live in exciting times ” And time is finally here. they that manipulate their market with such things as a P.P.Team. Thanks for the updates. I know you are 90% PM of your liquid assets. Are you still at 50% Gold and 50% Silver? 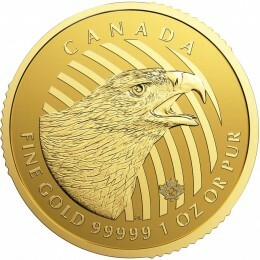 Since you just traded gold for the Perth Mint Funnel Web Spiders, the Royal Canadian Mint Red-Tailed Hawks and the Royal Canadian Mint Great Horned Owls. Where does that put you. I would like to mimic your investment strategy. Yep, 90% is right. And now I believe I’m 52% silver/48% gold, my first time over 50% silver in years. If you want to make changes to your portfolio, please give Miles Franklin a call at 800-822-8080, and give us a chance to EARN your business! Thanks Andy for your writing! The fed may be putting this out in order to justify not doing QE at the next downturn and go with Bail-ins instead. Many alternative writers are convinced QE will start up again, but I’m having my doubts. The Fed may be saying “see QE didn’t work, so we are going to go with a new strategy” when the shtf again. Hell, they may even raise rates, going into the collapse, like they have been threatening. At this point it almost seems like anything can happen with these ‘clowns.’ Don’t let them fool you into thinking they are incompetent. This is not the case, just corrupted at the core and believing in the fairy tale of protecting ‘National Security’ interests (which is a major justification they use for the metals manipulations and attacks IMHO) with their actions and thus doing the right thing. The right thing leading to enriching the few at the expense of the many, leading to rot in the system and eventual collapse. They ARE incompetent!!!!!!! Powerful, but incompetent! Look at the world around us! And get ready for a FAR, FAR uglier world in the coming months. Actually, I think you are right after thinking about it. They are incompetent to run a just society. One build on truth and compassion. I actually think a fair percentage don’t have the ability to have a conscience or have surrendered there ‘souls’ in service to an ends justify the means mentality. I think the books ‘The Authoritarians’ – http://home.cc.umanitoba.ca/~altemey/ by Bob Altemeyer and ‘Political Ponerolgy’ go a long way in explaining their influence and impact on society. And sadly I think you are right about what is coming, but hopefully it will only be a darkest before the dawn thing.